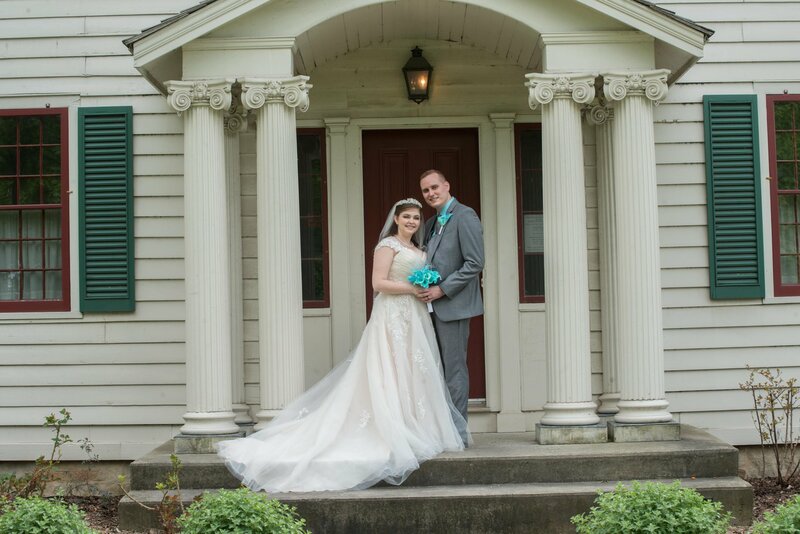 We will arrange and coordinate your wedding ceremony inside or outside of the Nash Jackson House at Stoney Creek’s Battlefield Park & Museum. Rental of the Grandview Room, Back Porch or Park with seating for up to 100 people. Two hour photography permit for the park grounds. Nash Jackson House wedding reception for up to 70 people. Chair Rentals for weddings taking place outside. A non-refundable deposit of $350.00 is required to book this Package. The deposit can be used for up to two years if you need to postpone prior to one month from your wedding date. Balances paid up FOUR WEEKS from the wedding date.